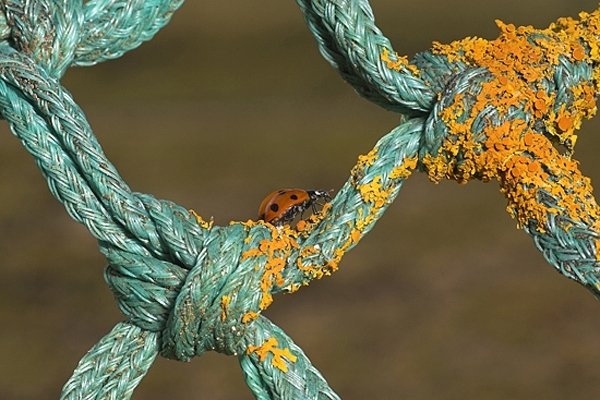 Home | Odds & Ends | Ladybird on lichen rope. Taken along the Berwickshire coast,at Cheswick. Canon 1D Mk11N camera,90mm lens,1/200 f16.